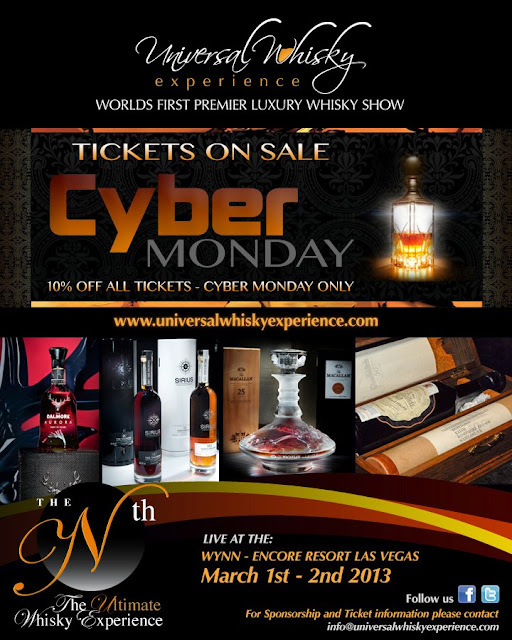 Discount for the Nth 2013 Show by Universal Whisky Experience– Cyber Monday Only!!! That’s right: get a 10% discount to the Nth 2013 Show in Las Vegas to be held March 1st and 2nd, 2013. Stephen’s given you the details on this supremely high-end tasting event before, and it’s a crackin’ event. Now make it even more of a value with 10% off! Makes a great gift for your favorite whisky connoisseur/aficionado/love bunny, or for Stephen, John, or Bill (please?!?). Enjoy! We hope to see you in March!